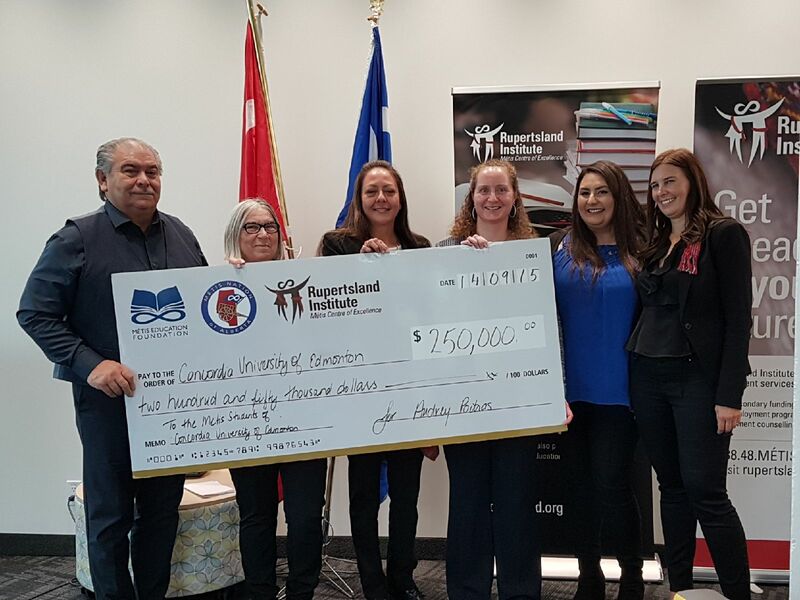 Edmonton, AB (September 14, 2018) — Today, the Rupertsland Institute and the Métis Education Foundation have announced a significant gift to support Métis student success at Concordia University of Edmonton. Rupertsland Institute is an affiliate of the Métis Nation of Alberta and holds a triple mandate in education, training and research; offering programs, services and information to Métis people in these areas through a network of offices across Alberta. Rupertsland Institute is committed to funding post-secondary education and supporting the education goals of Métis citizens.